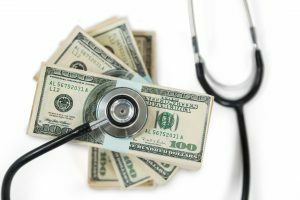 What Are Bundled Payments and Are They Here to Stay? Current vendor solutions are limited and generally require additional advisory services. Few available solutions offer workflow integration, especially across post-acute care settings, to assist in the execution of bundled episodes. Larger HCOs will weather the shift to bundled payments more easily than their smaller counterparts, especially as bundled payments begin to scale across multiple service lines. Bundled payments have been looming on the horizon for healthcare organizations (HCOs) at varying degrees of intensity for at least the last thirty years. As healthcare costs have continued to rise, payers and providers are increasingly viewing bundled payments as a viable alternative to fee for service (FFS) payment structures. Recognizing that this trend is here to stay, we authored the upcoming report, Bundled Payments: Current Strategies and Tools, to help HCOs understand the impetus behind bundled payments as well as provide a detailed perspective on how healthcare information technology (HIT) vendors are prepared to support this payment modality transition. Bundled payments are positioned to serve as a transition between FFS and capitation. By definition, a bundled payment links multiple provider payments into one care management and payment system during a specific episode of patient care during a defined period of time. There are two types of bundles: prospective and retrospective. A retrospective bundle incorporates a reconciled budget with the payer or “convener” as a financial integrator of the fees paid out instead of putting the responsibility upon one provider. This arrangement is built upon a FFS system and is retrospective because providers first receive their usual FFS payments, and then they receive an additional payment after their total costs are assessed and if cost savings were generated. However, cost assessments can take a year or more to complete after services are initially provided. A prospective bundle pays a fixed price for a set of services covered in the bundle before all of the services are rendered. An average cost per episode of care is determined based on historical data and/or regional costs and payment is delivered to providers when an episode is initiated, rather than waiting until the entire episode has been completed. Adjustments to payments are made after the fact to account for outliers, excluded episodes, and other factors. Retrospective payment bundles are the most widespread bundled payment system primarily due to the abundance of participation in the Bundled Payments for Care Improvement (BCPI) Initiative and the Comprehensive Care for Joint Replacement (CJR) model. Retrospective payments for bundles are also easier to understand, administer, and execute, which is why they comprise the majority of bundled payment financing arrangements to date. CMS is still navigating how to implement this payment structure while not alienating providers, and BPCI was an attempt to find a middle ground that is palatable to providers while capitalizing on the cost savings bundled payments offer payers. Unfortunately, determining this middle ground has led to CMS sending conflicting messages to the industry. In late 2017, CMS rescinded rule changes that required mandatory bundled payments for providers to test the effect bundled payments would have on cardiac and orthopedic care. CMS noted that responses from providers to the mandatory bundled payments cited concerns over both the process by which costs for episodes were determined as well as the ability for smaller HCOs to comply with the process. Despite these setbacks, CMS is not withdrawing support from bundled payments as a whole and has instead created the BPCI-Advanced, a voluntary iteration of BPCI with the same goal of aligning incentives among health care providers. Early adoption of the BCPI-Advanced program has been robust although it remains to be seen how many of these providers might exit early next year. Additionally, HHS Secretary Azar indicated last month that mandatory bundles are coming in the near future for radiation oncology and possibly other providers as alternative payment models. Commercial payers have shown interest in bundled payments, but have been slow to introduce the practice. Although we have seen increased adoption from some payers, the general consensus is that these organizations will wait until the concept is proven before devoting resources to the change. We might have to wait until bundled payments are once again mandated by CMS before commercial payers adopt the model. While the attitude of providers towards bundled payments could be best described as “wary,” there is still opportunity for healthcare providers to lower their costs while improving the standard of care. Yet, success with bundled payments requires close coordination between multiple providers over a varying timespan, something that many providers struggle with. In order for bundled payments to work for both patient and provider, an HCO needs to have the ability to identify who is eligible for bundled payments early in the treatment cycle through monitoring and tracking. They also need to have a network and processes in place to engage affiliated and community providers that are necessary to the bundled payment process. Not surprisingly, many HCOs are hesitant to invest the organizational resources necessary to establish this level of collaboration. Specialty physician groups that are only focused on engaging in one or two retrospective bundles will be able to change more rapidly but over the longer term, it will be harder for smaller HCOs to effectively scale bundled payments across multiple services lines within their organization. Another advantage larger systems have is systems and processes for dealing with post-acute care needs that are critical for succeeding in bundled payments. In general, large HCOs with wide networks and established reporting and monitoring processes are better equipped to handle the transition to bundled payments and effectively scale these program although several specific factors (e.g., episode type, target price, exclusion criteria, risk adjustment) will affect how a provider performs. Our report focuses primarily on identifying the IT environment that supports, and will support, bundled payment plans. We were able to identify a number of key issues that software solutions must address, including patient tracking, care process redesign, and physician engagement. As of the writing of this report, no vendor offers a comprehensive solution to the myriad reporting and management challenges that bundled payments present. We did identify commercially available solutions to deal with cost and quality reporting requirements inherent in the bundled payment process. Unfortunately, HCOs are going to have to develop piecemeal processes that incorporate multiple systems until vendors are able to provide a robust comprehensive solution. We expect that as bundled payments garner more support and interest, HIT vendors will recognize the market opportunity and develop systems to specifically address these issues. The question is not whether bundled payments are going to see greater utilization, but rather to what extent will bundled payments affect healthcare payers and providers? Providers especially will need to have a plan and processes in place to reduce risk to their revenue streams as bundled payments become more ubiquitous. Our report, Bundled Payments: Current Tools and Strategies, outlines how providers can navigate these changes and identifies IT solutions that may assist them. It provides detailed insight into what bundled payments are, how to execute them, and the challenges associated with their orchestration. Furthermore, it contains comprehensive vendor profiles and evaluations of the solutions they offer, which we hope will assist providers as they prepare for this transition. On January 30, 2019, we are hosting a webinar on this topic. To attend or just be on the list for the recording, please click here to register. Chilmark recently released a report on the topic of bundles and enabling solutions. To learn more about this research, please click here. Mandatory alternative payment model (APM) is coming for radiation oncologists. HHS has not yet released many details but The American Society for Radiation Oncology’s (ASTRO) radiation oncology-APM (RO-APM) is a likely useful proxy for what this model might look like. More than two dozen vendors have taken the OCM Vendor Pledge this year yet no single vendor, including several EHR vendors, can presently meet all of the necessary requirements for a participating provider. HHS Secretary Alex M. Azar II’s recent speech to the Patient-Centered Primary Care Collaborative in Washington, DC, indicated that there is a significant change in thinking of CMS about value-based-care and voluntary vs. mandatory participation in alternative payment model (APM) programs. “We need results, American patients need change, and when we need mandatory models to deliver it, mandatory models are going to see a comeback… (CMS will) revisit some of the episodic cardiac models that we pulled back, and are actively exploring new and improved episode-based models in other areas, including radiation oncology,” according to Secretary Azar. What will this mean for radiation oncology healthcare providers and the vendors that service them? A foundational and operational re-think will be needed to manage new challenges in documentation, records management, financial analytics and reimbursement. Although it has not yet been revealed what the new payment model will be for radiation oncology, there are clues. Both the American Society of Radiation Oncology (ASTRO) and the Large Urology Group Practice Association (LUGPA) submitted payment models to CMS to consider. The proposal by LUGPA was specific to prostate cancer and has been rejected by CMS. It is highly probable that the new oncology radiation model will be similar to the already ongoing voluntary Oncology Care Model (OCM), but based on ASTRO’s Radiation Oncology Alternative Payment Model (RO-APM) (PDF link) and unlike the OCM, it will be mandatory. ASTRO’s RO-APM incentivizes adherence to clinical guidelines for several cancers, including breast, prostate, lung, colorectal, and head and neck cancers. It also applies to two secondary disease sites: bone metastases and brain metastases. This RO-APM is based on an episodic payment that is triggered by a clinical treatment planning CPT (rather than with the actual delivery of treatment such as with the current OCM model) and concludes 90 days after the last radiation treatment. Regarding payment structure, ASTRO’s RO-APM is very similar to the OCM in that it would also include a monthly fee called a Patient Engagement and Care Coordination Fee (PECC), and retrospective performance-based payment incentives. The activities and goals of the PECC and retrospective measures reflect those of the OCM. However, one of the most significant differences between the OCM model and ASTRO’s RO-APM involves the payment of fees. The RO-APM is based on an episodic model that pays a portion at the beginning of treatment planning and a final payment at the end of treatment; which, for many practices, will be a fundamental change from fee-for-service radiation oncology reimbursement, and require an overhaul of billing systems and workflows. Healthcare IT vendors, including EHR vendors, are not yet ready with one, single solution to meet all the requirements of a healthcare provider participating in OCM. 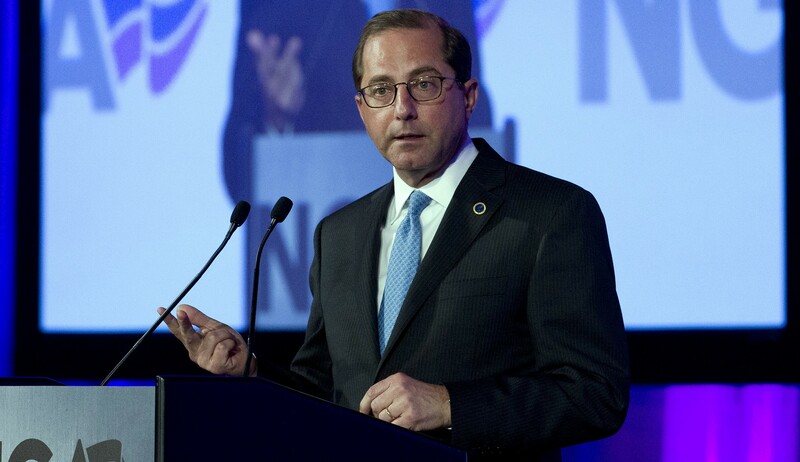 Secretary Azar’s remarks indicate a complete about-face concerning mandatory vs. voluntary participation for APM programs by the Trump administration that may affect not only radiation oncology but all aspects of medicine. Healthcare IT vendors, including EHR vendors, are not yet ready with one, single solution to meet all the requirements of a healthcare provider participating in OCM. While some vendors can meet various quality measure reporting components, there is not one single vendor today that can address all the financial and operational obligations inherent in this type of APM. More than two dozen IT vendors, including several EMR vendors, have made the OCM Vendor Pledge this year, which is a step toward a comprehensive IT solution. However, the complexities of the system pose significant barriers which will take several years to overcome. Want to learn more about the state of the IT industry regarding bundled payments and APMs? Look for our Bundled Payments report coming out in the next couple weeks (or our blog for a short primer on the state of the market) and our Payment Integrity report slated for release in mid-2019.